With a full range of progressive resistance, the CycleOps Classic Wind Turbo trainer makes a good trainer for the beginners. It represents great value, creating solid performance at a very competitive price. The CycleOps Wind comes with a vortex blade fan that uses the surrounding air to generate smooth, progressive resistance for active real-life workout. 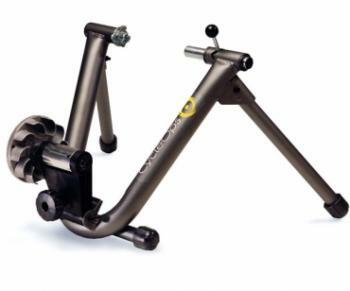 With a broad range of accessories from riser blocks to trainer mats, through to train-right DVDs, this CycleOps Wind trainer makes a good choice for beginners and average riders alike. As with all CycleOps indoor turbo trainer the Classic Wind Turbo Trainer comes with lifetime manufacturer’s warranty.